In medium bowl, stir together all ingredients. Let stand at least 10 minutes before serving, or cover and refrigerate until serving time. 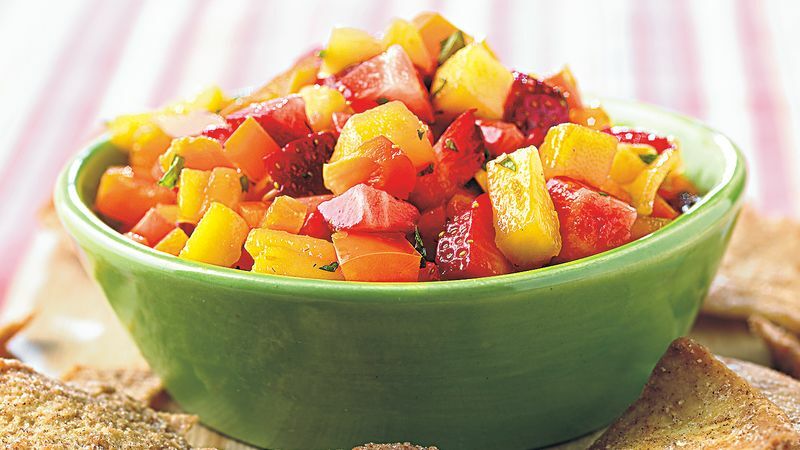 This colorful salsa scoops up nicely with baked cinnamon-sugar pita chips, but it can also freshen up grilled fish or chicken.